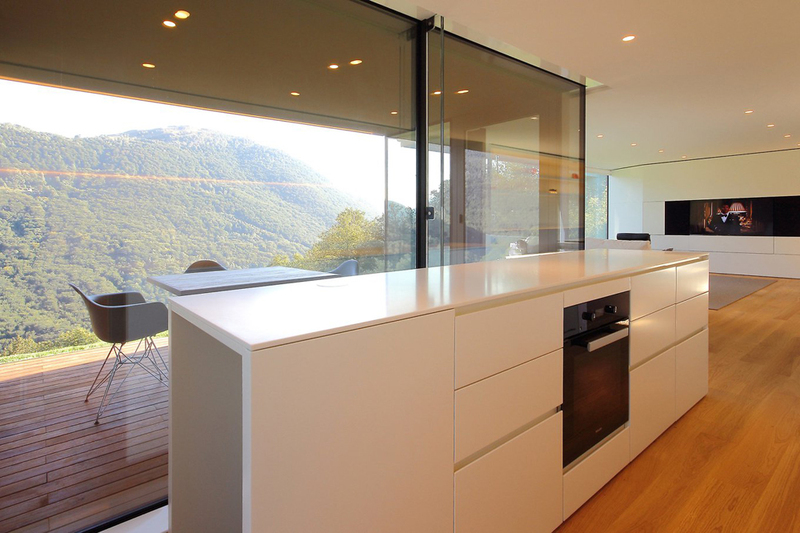 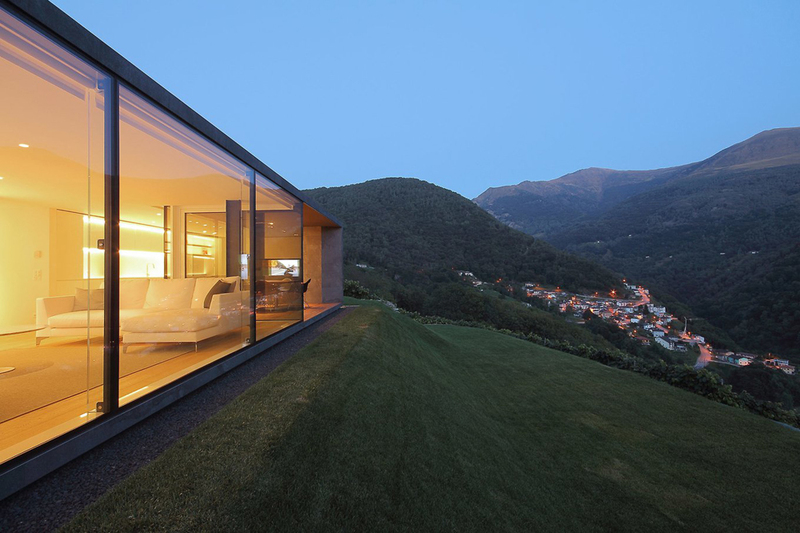 Built in a picturesque area of Medeglia, Switzerland, this distinctive house provides incredible views over a valley, forests and mountains. 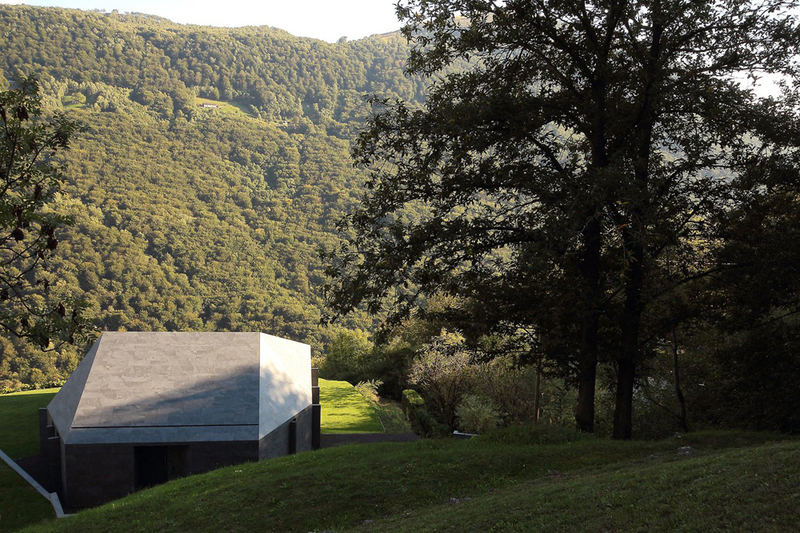 Surrounding vineyards and pastures also enhance the bucolic look and feel of the landscape, immersing inhabitants into nature. 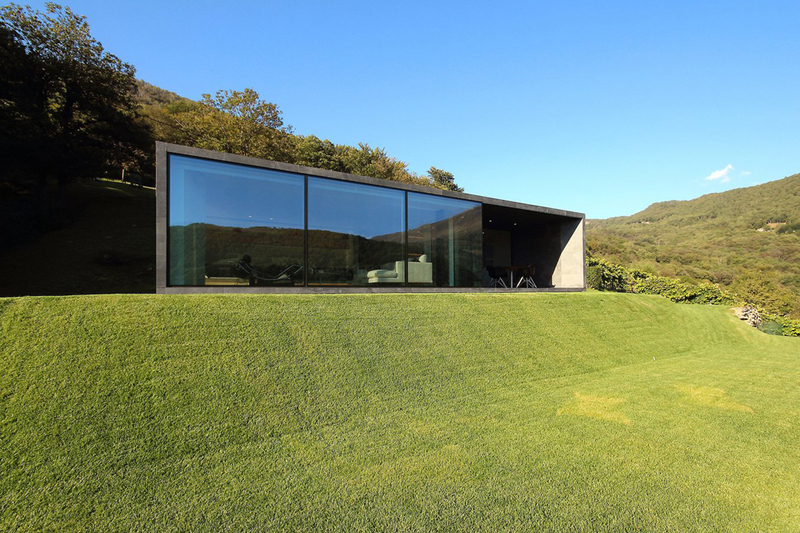 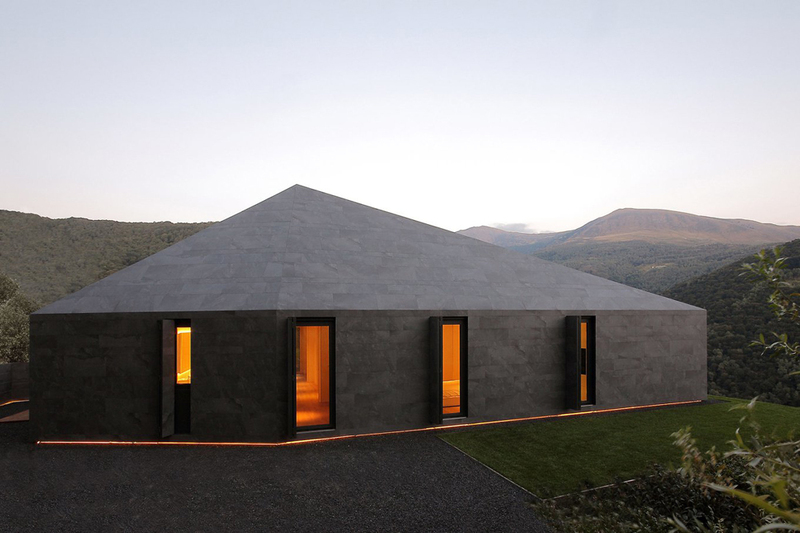 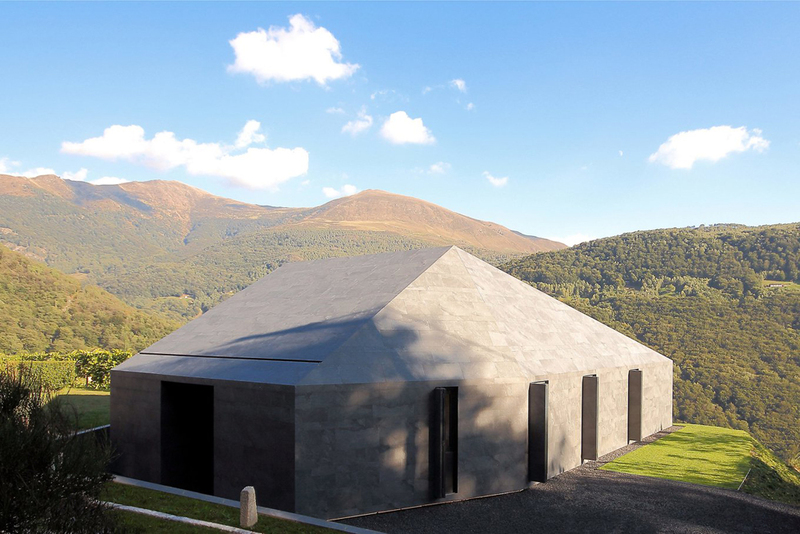 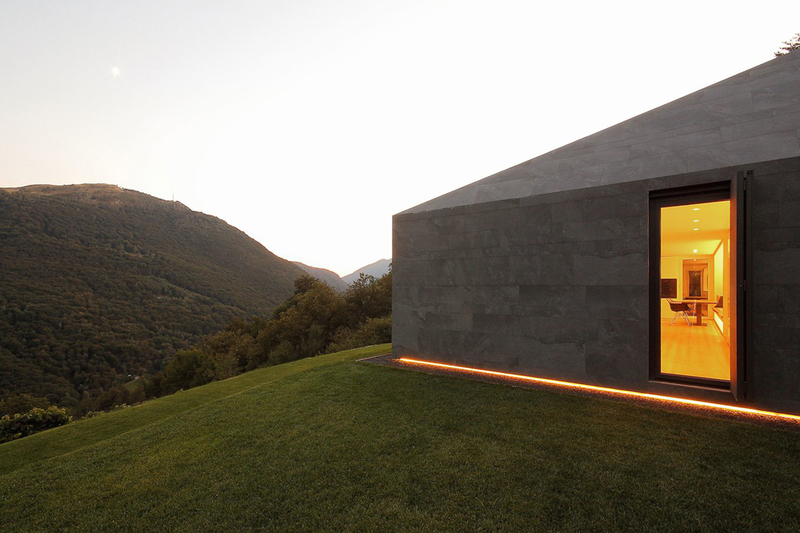 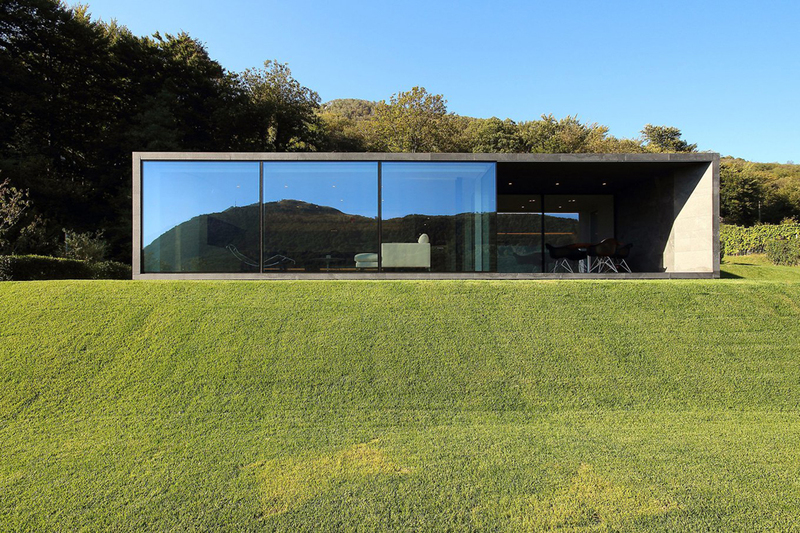 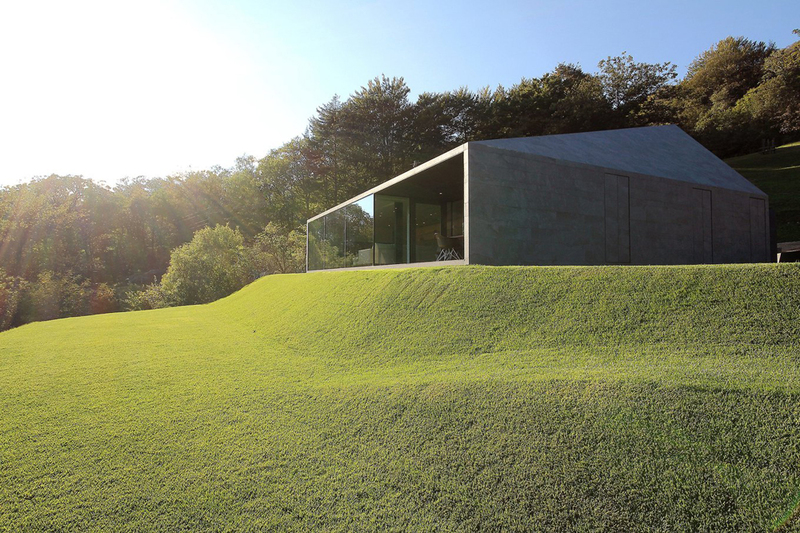 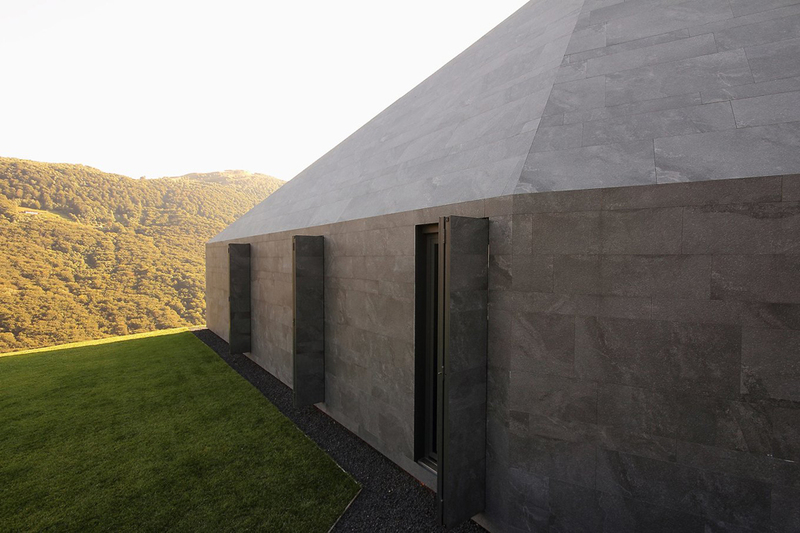 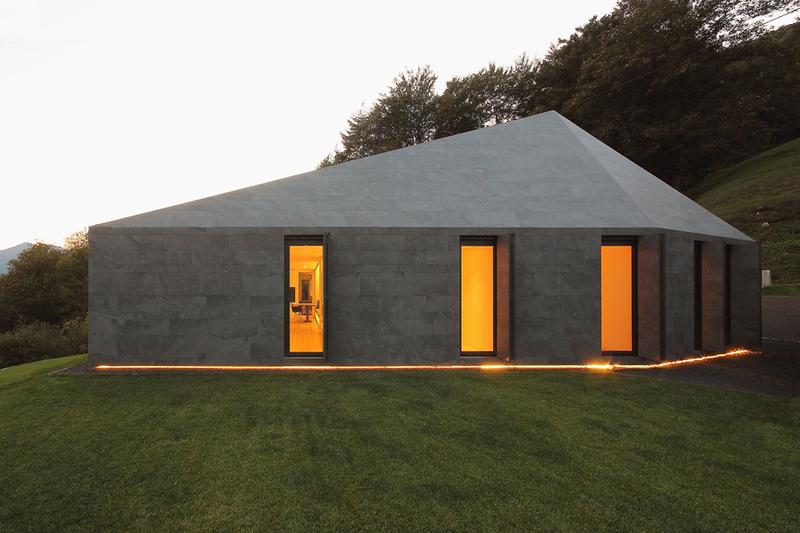 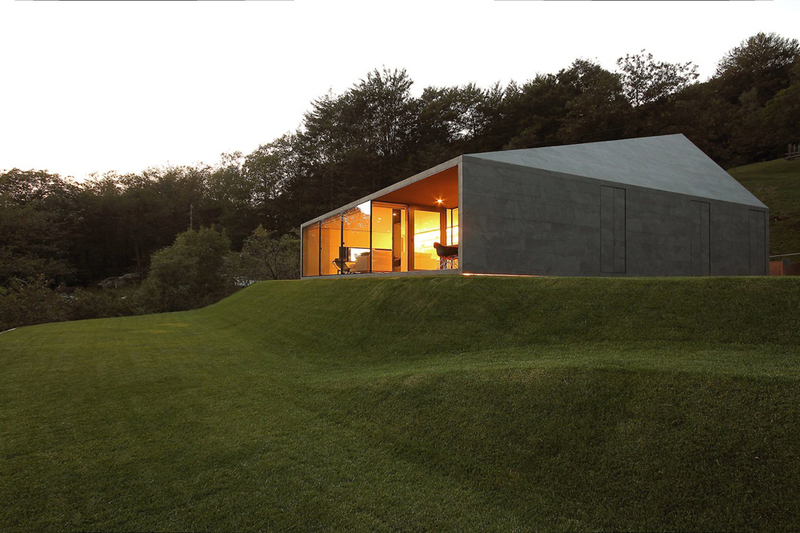 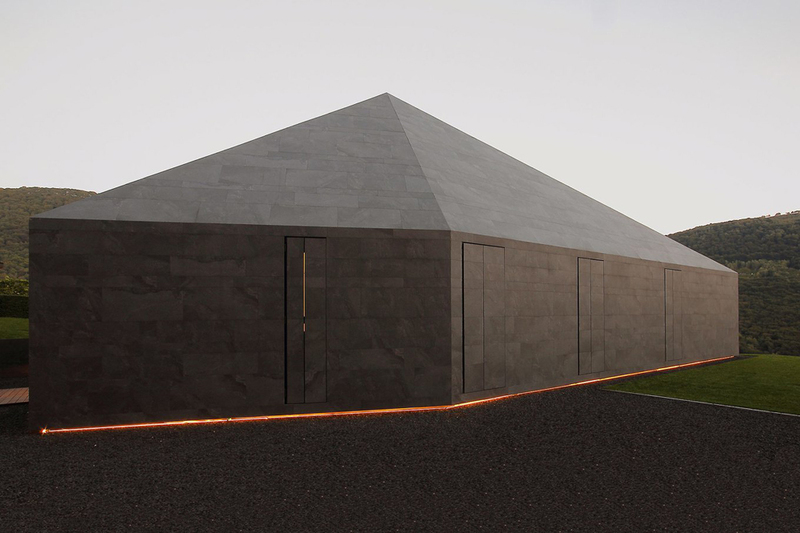 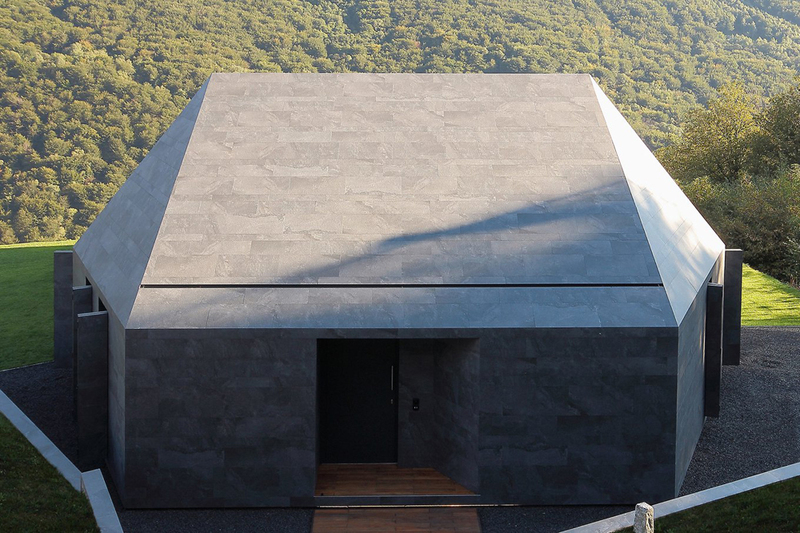 Designed by Milan-based studio JM Architecture, the Montebar Villa redefines the traditional house in a sculptural and minimal design. 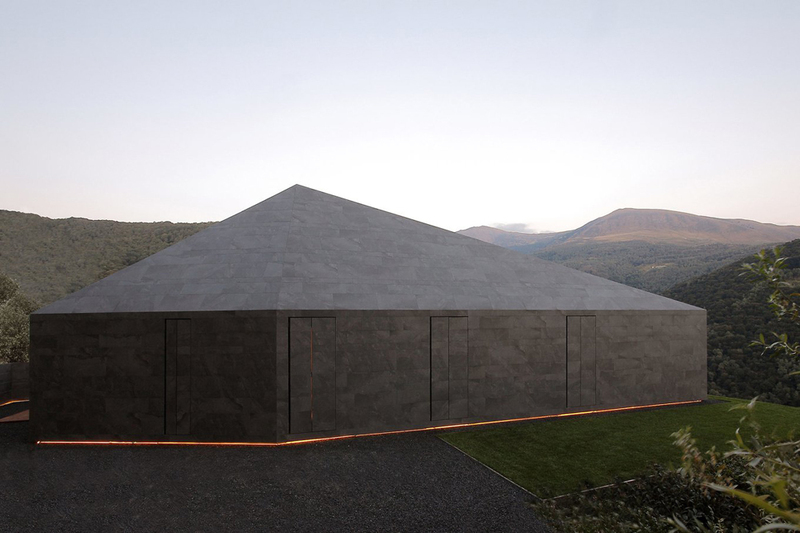 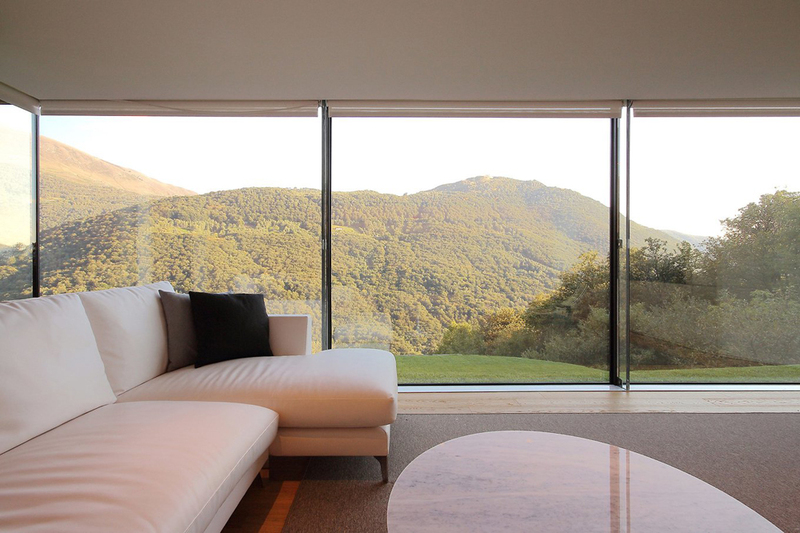 The striking structure simplifies shapes to create a monolithic appearance, but unlike the timber clad retreat that took inspiration from a stereotypical form, this mountain retreat looks more like a modern sculpture.